Our technologies are designed to be robust, fast and reliable. We are able to maintain efficiencies when high usage and customer support is demanded. This is because our system is deployed globally, with servers hosted in multiple secure locations around the US. Our systems are scalable to fit your needs. Our systems are hosted in world class data centers, and each data center provides you with multiple upstream providers, which minimize the possibility of any single network outage bringing us offline. In the unlikely event of a regional outage, your requests are diverted to one of our other nodes, ensuring that you are not affected by any regional outage. Our systems are also powered by multiple database engines, which allow real time updating and processing. 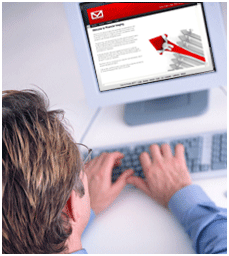 Every file uploaded is instantaneously audited and quality checked by our automated systems. Your data is sent via secure channels to ensure the integrity of your client data, remains intact. Along with our advanced systems, our core processing Application Programming Interfaces (APIs) are also located in multiple locations around the US. This ensures that our processing API engines are fast, robust, reliable and always available to use. Our systems use the latest GeoIP technology. GeoIP technology allows us to process your information anywhere in the world, and will direct your computer to our closest server. In the rare event that the closest server is offline, you will automatically be re-directed to another server closest to your location. With this technology in place, we can offer Service Level Agreements (SLAs) to our clients.